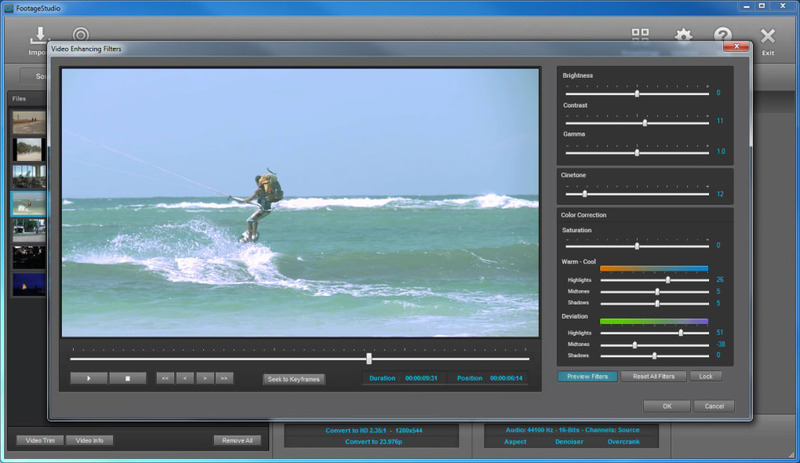 FootageStudio is a powerful stand-alone video processor tool featuring an easy and high quality video workflow solution,from simple fast transcoding to complete video transformation, producing highest quality videos ready to edit or distribute. Supports a wide range of input formats including video cameras,HDSLRs and GoPro , AVCHD,HDV and pro formats like DNxHD or ProRes, and image sequences. Transcodes/encodes to high quality pro formats like DNxHD or ProRes,in 8-bit or 10-bit,and to distribution formats like h.264 or webm. FootageStudio's workflow features: standards conversions SD/HD/4k, framerate conversions and corrections, resample, aspect ratio conversions, video denoiser, audio conversions, slow motion, color correction and more. The smart batch-processing feature allows to import several videos in different formats, dimensions or framerates,and just select the output in one click. For instance,the user can import videos in any mixed formats like 1080p30,720p60,1080i60 or 1080i50 and convert all to high quality 1080p24 in only one click. 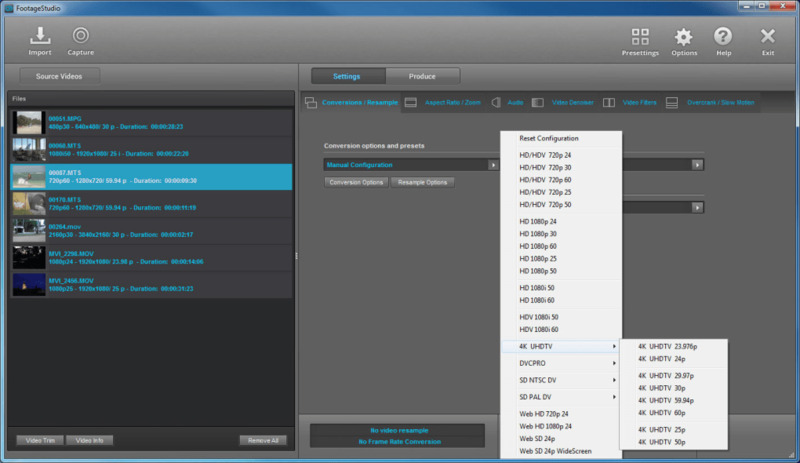 The software is optimized to 128-bit processing with multi core and CUDA GPU support. 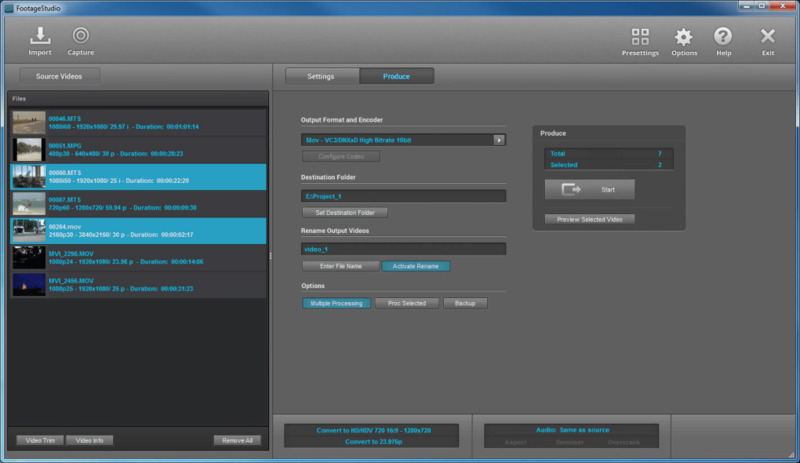 FootageStudio can process up to 4 videos simultaneously enabling ultra-fast processing speed. What do you think about FootageStudio 4k? Do you recommend it? Why?